Are you ready to rock? 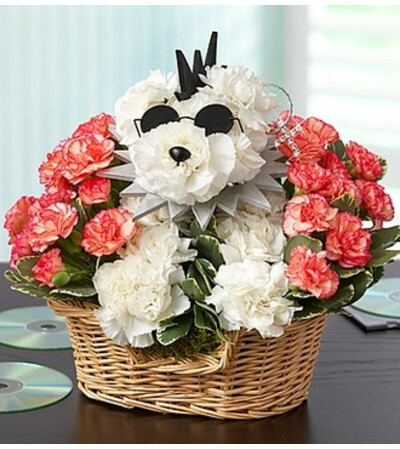 Our truly original a-DOG-able® arrangement is! Complete with sunglasses, earring, spiky hairdo and dog collar, this punked-out puppy is crafted from the freshest white and orange carnations by your local florist. 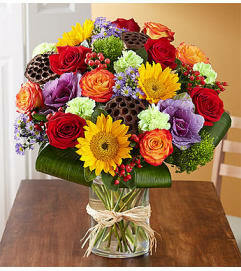 A fun and festive surprise that will have your special someone dancing in their seats! 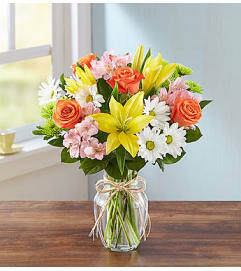 Rock star-inspired a-DOG-able® arrangement created by 1800Flowers designer Pauline Ladato features white carnations, orange carnations and variegated pittosporum. Accented with sunglasses, a foam dog collar, foam hair piece, wire earring with rhinestone cross, eyes and a nose.